In this Feb. 1, 2019 file photo, former campaign adviser for President Donald Trump, Roger Stone, leaves federal court in Washington. A federal judge on Tuesday ordered Roger Stone to appear in court to consider whether to revoke his bail after the longtime Donald Trump confidant posted a photo on Instagram of the judge with what appeared to be crosshairs of a gun. 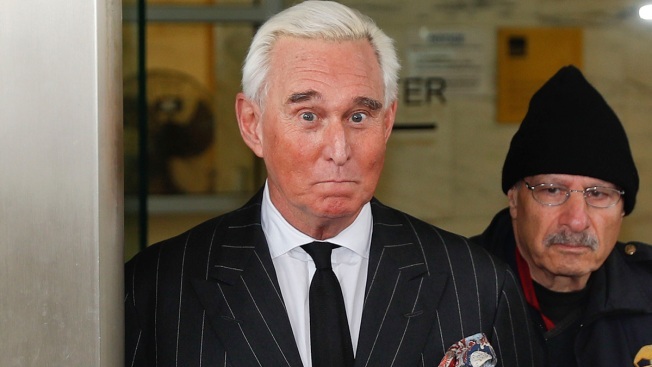 U.S. District Judge Amy Berman Jackson said Stone must show for a hearing Thursday afternoon and prove why she shouldn't modify or revoke his bail or implement a full gag order in his case. On Monday, Stone posted a photo of Jackson with what appeared to be crosshairs near her head. Later in the day, Stone and his attorneys filed a notice with the court that they recognized the "photograph and comment today was improper and should not have been posted." Stone said that the photo was "misinterpreted" and that it was "a random photo taken from the Internet." He dismissed any suggestion that he was trying to threaten the judge as "categorically false." 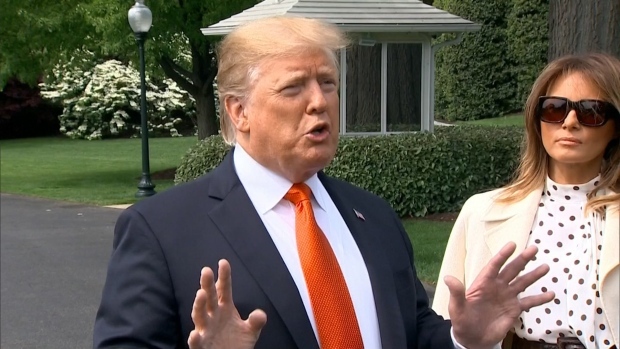 The political operative and self-described dirty trickster has pleaded not guilty to charges he lied to Congress, engaged in witness tampering and obstructed a congressional investigation into possible coordination between Russia and Trump's 2016 presidential campaign. The charges stem from conversations he had during the 2016 election about WikiLeaks, the anti-secrecy group that released material stolen from Democratic groups, including Hillary Clinton's campaign. Stone was arrested last month and is the sixth Trump aide or adviser charged in special counsel Robert Mueller's investigation. He's currently free on a $250,000 personal recognizance bond. Last week, Jackson issued a limited gag order, which prevents Stone from discussing his case near the courthouse and generally bars his lawyers, prosecutors and witnesses from making public comments that could "pose a substantial likelihood" of prejudicing potential jurors. But the order did not constrain Stone from making other public comments about the prosecution or his case. Stone's lawyers argued that placing any limits on his public comments would infringe on his constitutionally protected right to free speech. Stone has maintained his innocence and blasted the special counsel's investigation as politically motivated. He has also criticized his case as involving only "process crimes." On Tuesday, Stone posted a photo of a book he received from a supporter, writing in an Instagram post that he was praying that it "protects me from the fake news media who are smearing me and purposely misinterpreting everything I say."